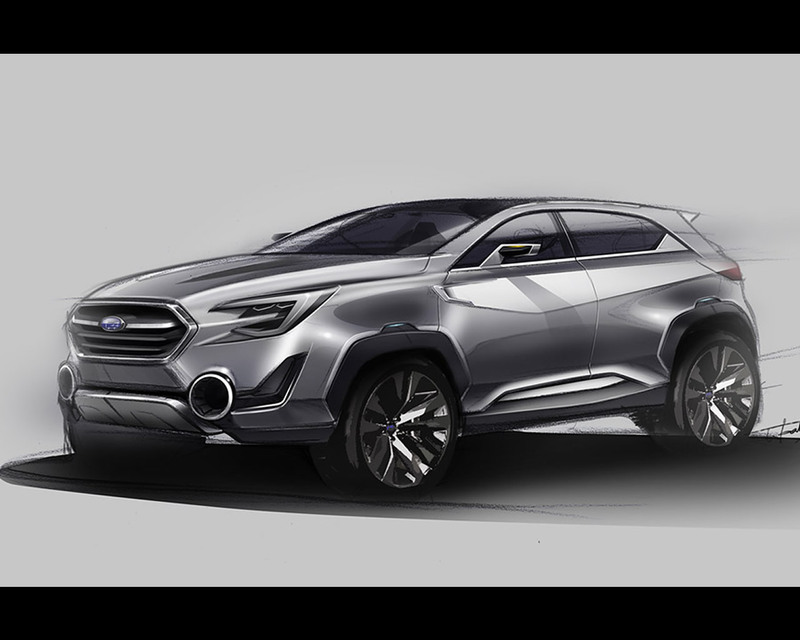 The Subaru VIZIV-2 is a next generation crossover concept inspired by the phrase ‘Vision for Innovation’ and has been created to show how advanced technology can further improve the All-Wheel Drive (AWD) Subaru driving experience, while indicating at a possible future design direction for Subaru’s production vehicles. 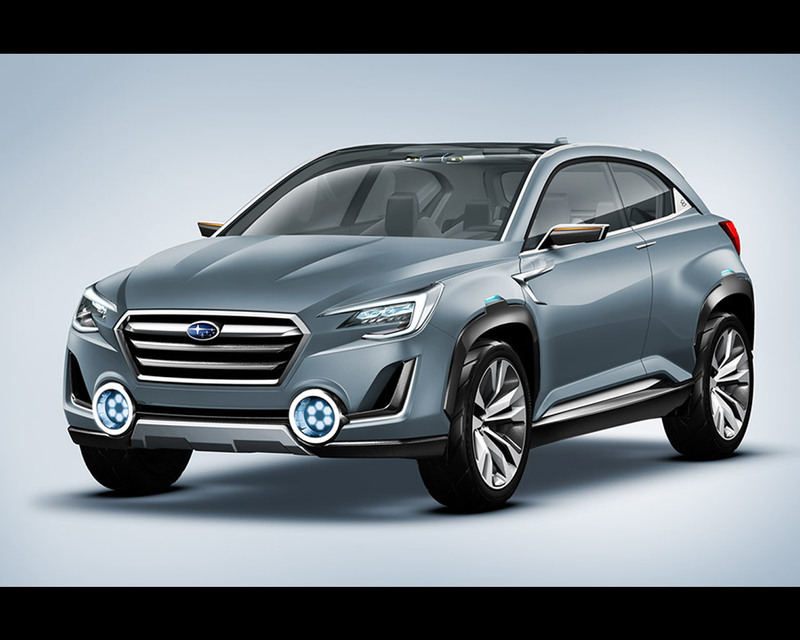 The 4.4-metre long Subaru VIZIV-2 concept has been designed as the ideal vehicle to support urban families with active lifestyles, powered by a 1.6-litre turbo-diesel ‘DIT’ (Direct-Injection Turbo) Boxer engine, plus three electric motors. 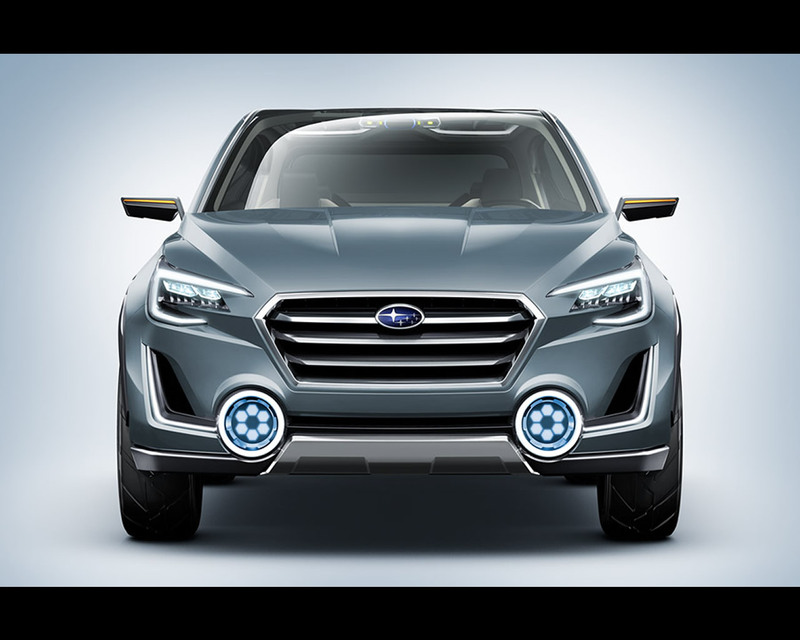 With its large stretched ‘C’ shaped headlamps and prominent round LED fog lights, the Subaru VIZIV-2 presents the image of an active crossover with a solid body form, polished surfaces and an impression of rigidity that expresses Subaru's legendary safety and security. The core hexagonal shape of the body is present in the front grille and is repeated at the rear where the combination lamps are styled to make the car appear wider. 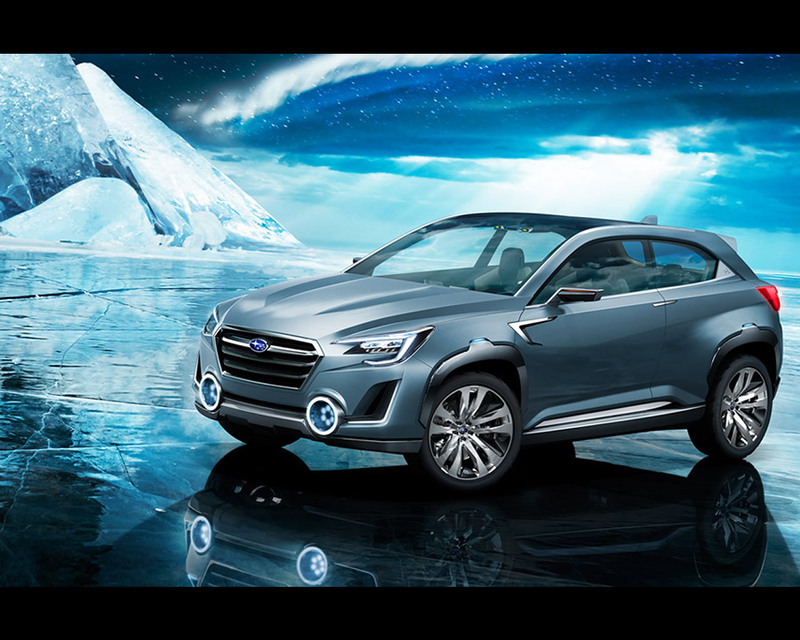 In profile, the powerful flanks pose in a dynamic stance, coupled with robust bumpers that feature Subaru's characteristic cladding and vectoring lamps to highlight the car’s stability and Subaru's AWD system. The concept car is finished in Magnetite Silver Metallic. 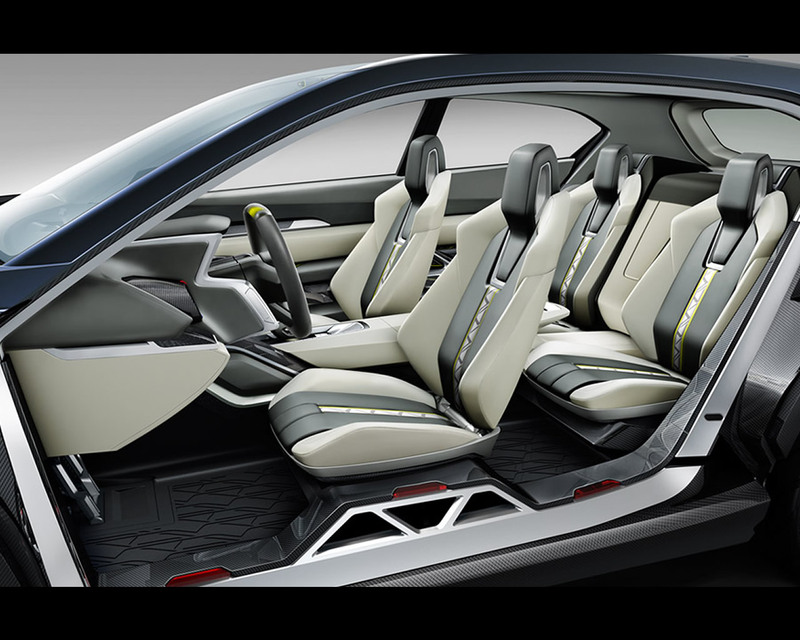 Inside, Subaru VIZIV-2 features a cabin which inspires a dynamic, enjoyable driving experience. 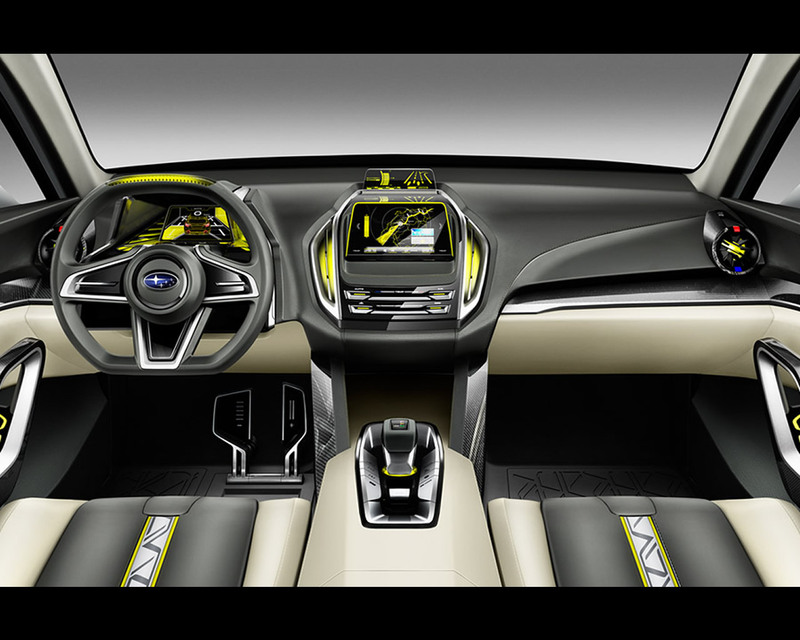 The interior space encapsulates function, safety and enjoyment with an authenticity that is uniquely Subaru. Viewed from the driver’s seat, the instrument cluster design stresses drivability and ease-of-use, showing the operating status for EyeSight, Subaru's advanced driver assistance system, and the vehicle’s multi-directional sensing systems. 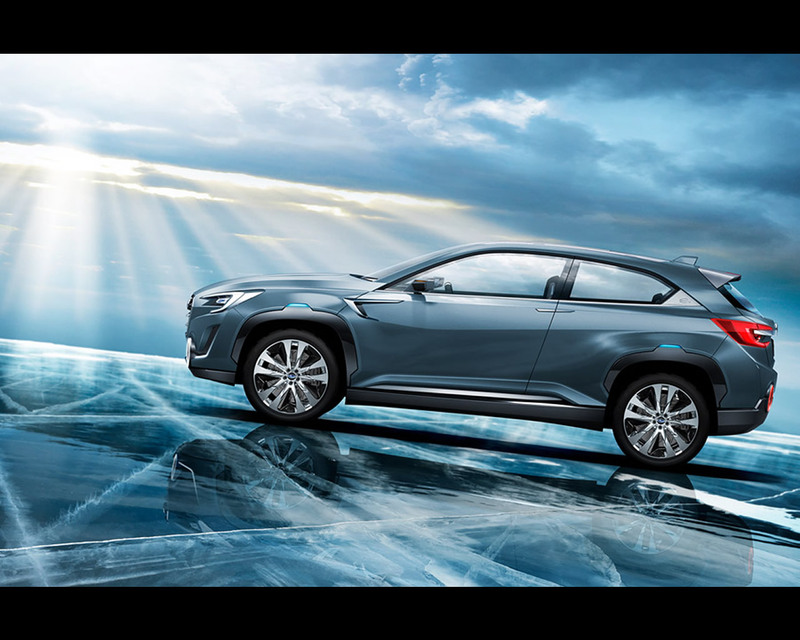 Building on more than 40 years’ experience of its hallmark AWD technology, Subaru’s new independent rear motor-driven Symmetrical AWD system developed for VIZIV-2 points to a future generation of Subaru AWD technology. While the diesel engine and front electric motor power the front wheels, at the rear two independent motors allow the same or different levels of torque to be applied to the left and right rear wheels, depending on driving conditions. 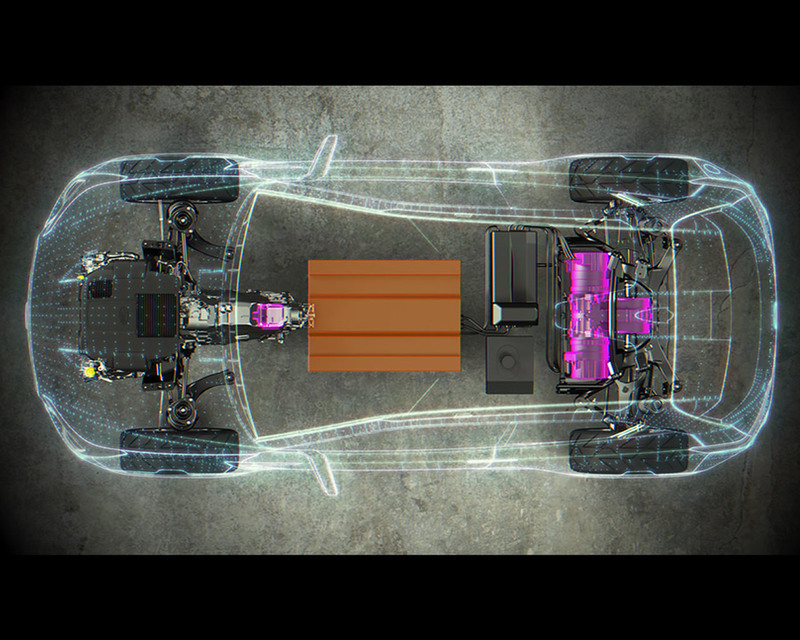 A third motor powers the front wheels, with power provided by a lithium-ion battery pack. 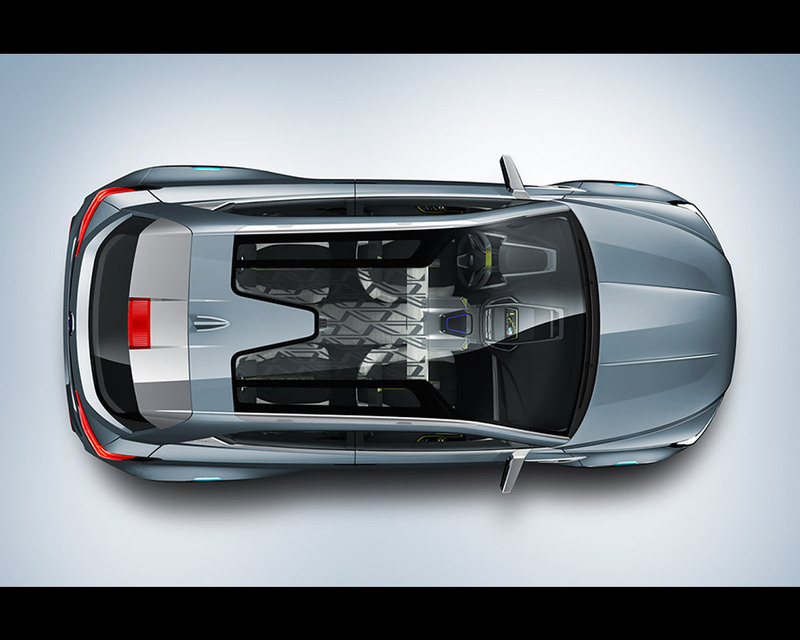 Completing the plug-in hybrid powertrain, the four-cylinder 1.6-litre DIT diesel engine is coupled with a Lineartronic (CVT) automatic transmission. 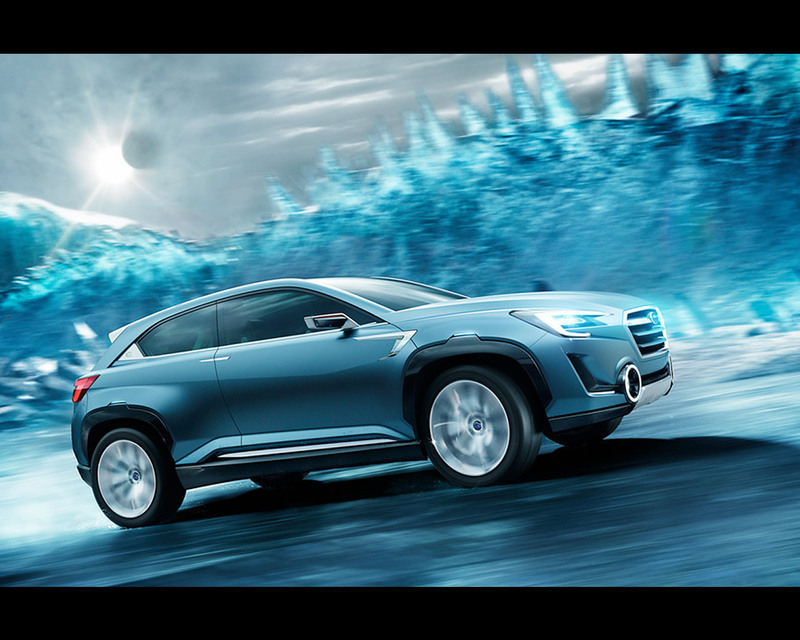 Besides helping acceleration and performance in all conditions, this ground-breaking AWD system employs torque vectoring to improve stability and agility – minimising understeer by reducing power to the inside wheel and increasing power to the outside wheel. 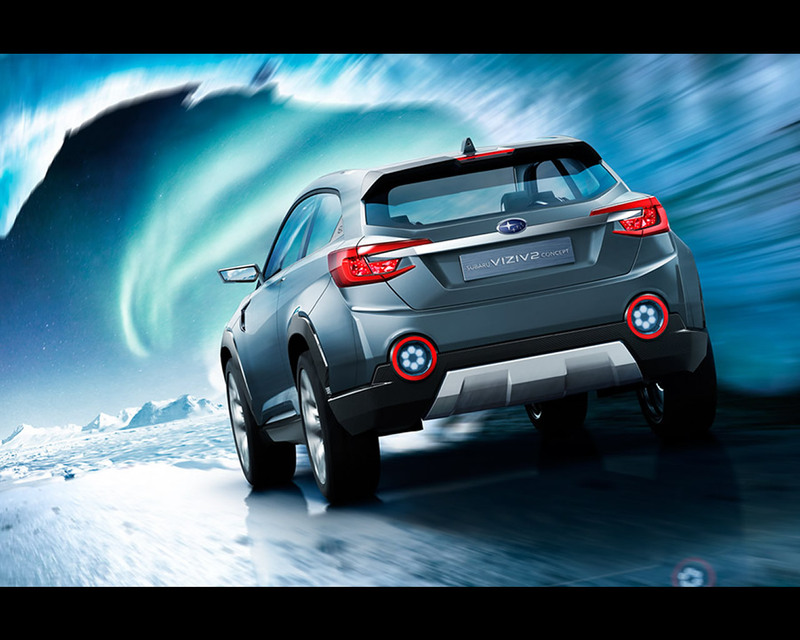 It ensures ease and confidence on the road and provides a new level of driving enjoyment, while increasing the active safety performance typical of every AWD Subaru model. 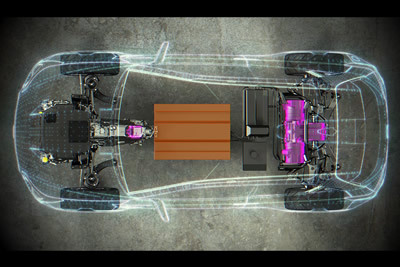 This unique system automatically selects the best time to use each power unit according to its strengths and the driving conditions, achieving greater fuel efficiency and maximum stability and safety. 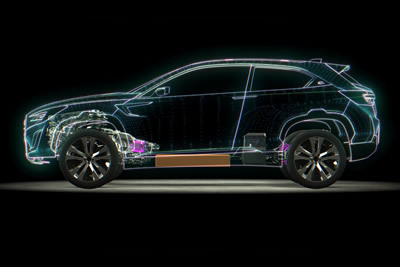 The generous torque generated by the diesel engine and the electric motors ensures strong, linear acceleration and responsive performance in the best traditions of a Subaru. 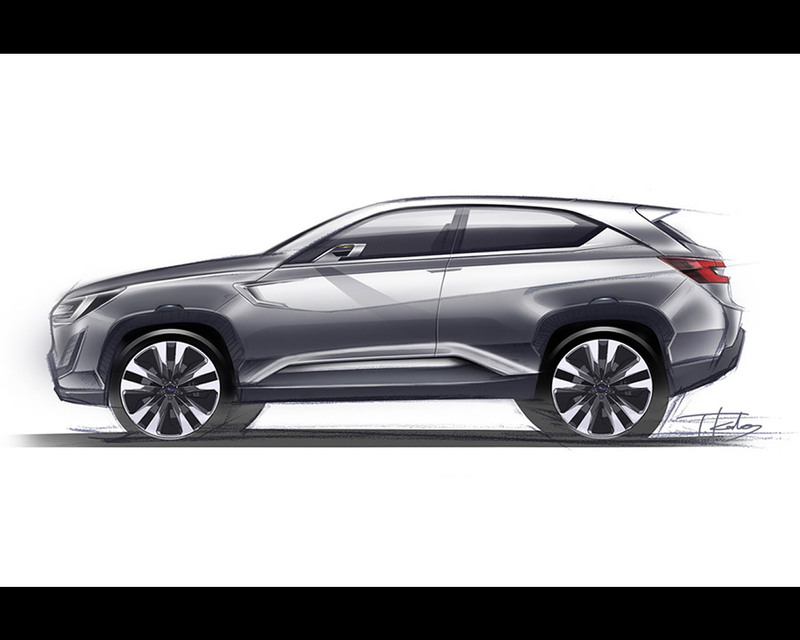 During low-speed or city driving, the front and rear motors supply much of the vehicle’s propulsion, while the diesel engine and high-efficiency Lineartronic take over at higher speeds. 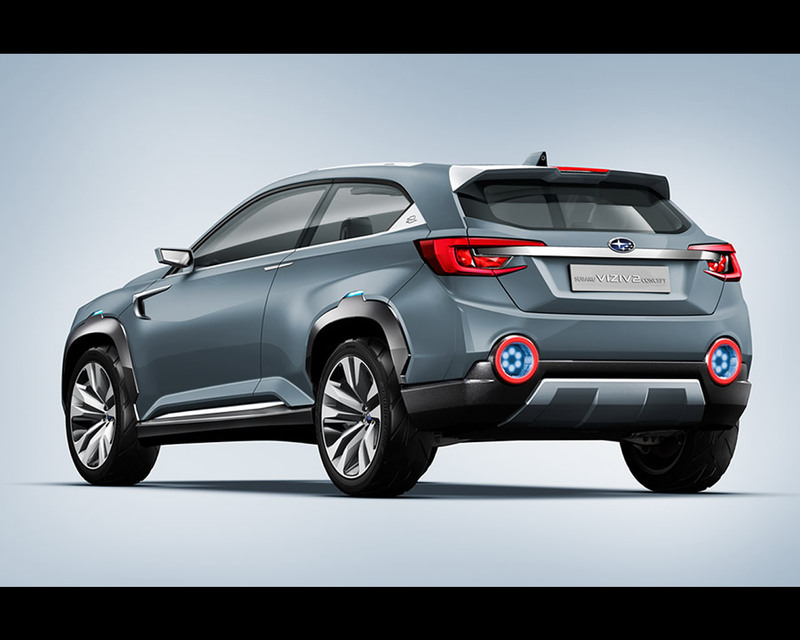 The Subaru VIZIV-2’s auto start/stop system and its multiple charging methods – engine power generation, regenerative braking and plug-in charging – further improve efficiency. 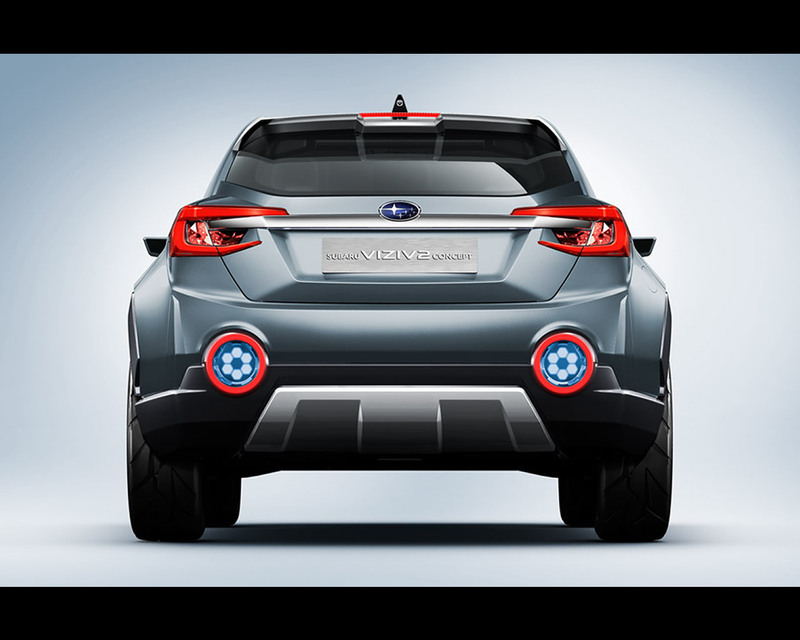 Subaru VIZIV-2 features a new variation of Subaru’s SI-DRIVE driving control system, Hybrid SI-DRIVE, which allows the driver to select different profiles for the engine and transmission. To the original system’s ‘Intelligent’ and ‘Sports’ modes, this adds an ‘Eco-Cruise’ mode which works in conjunction with the EyeSight driver assist system. 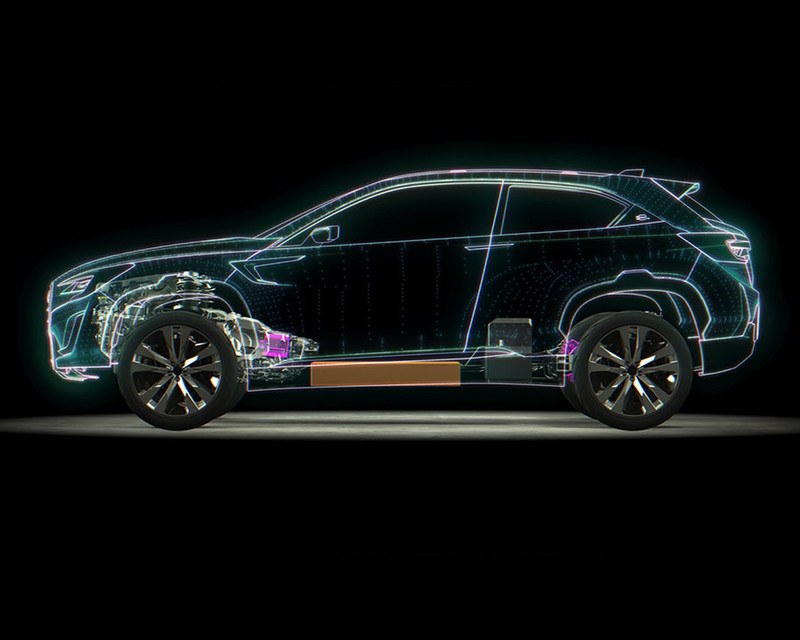 Travel conditions, monitored by the EyeSight’s stereo camera, are continuously assessed and the data is used to fine-tune the engine and motor outputs in order to reduce fuel consumption and minimise emissions, while ensuring a safe and rewarding driving experience.